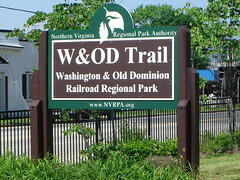 The Arlington Police are warning female joggers on the W&OD Trail that the serial flasher we warned you about in January is still operating along the trail and has now exposed himself to eleven women in the last two months. Anyone with information about this creep is encouraged to talk to the Arlington Police, talk with Detective Comer at (703) 228-4243 or Detective Austin at (703) 228-4241. Don’t approach flashers, keep your distance and call the police. Be careful using headphones that don’t allow you to hear others approaching you, and be watchful on the trail. Any chance we have attractive female flashers on the trail?